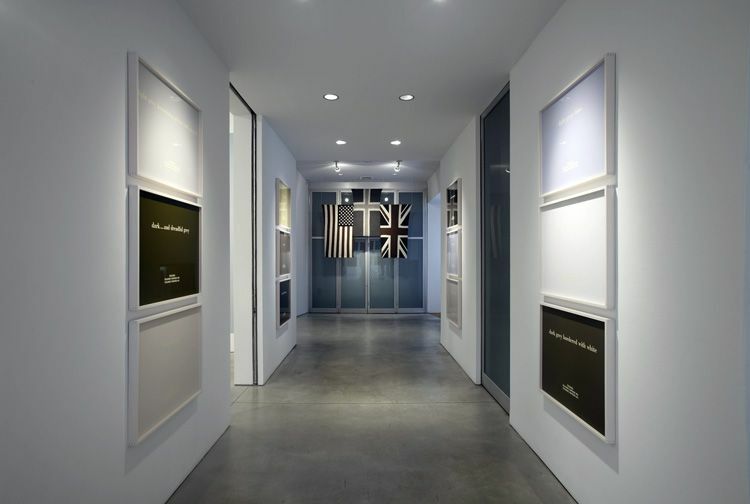 Summer hours, which will be in effect following the July 4th holiday, are Monday through Friday, 10 am to 5 pm. 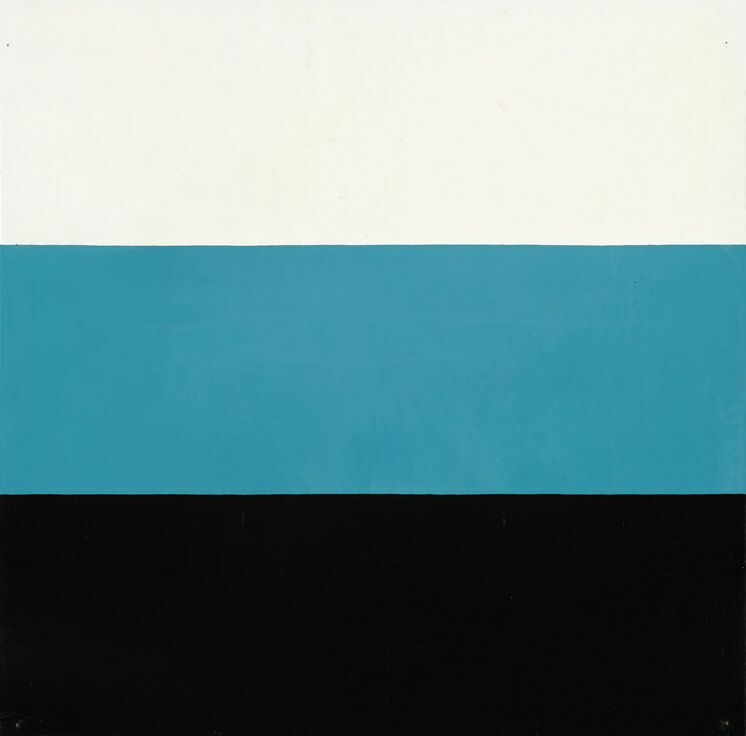 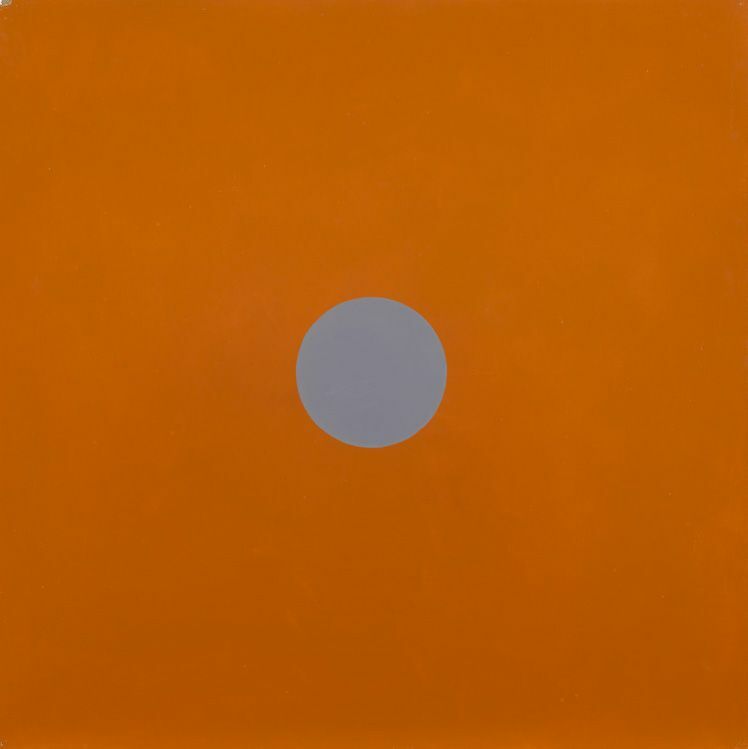 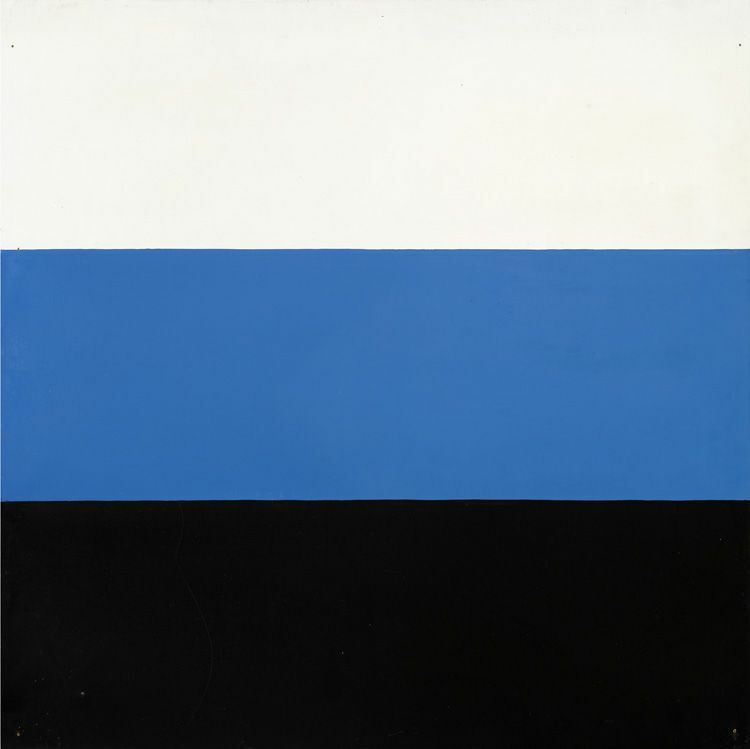 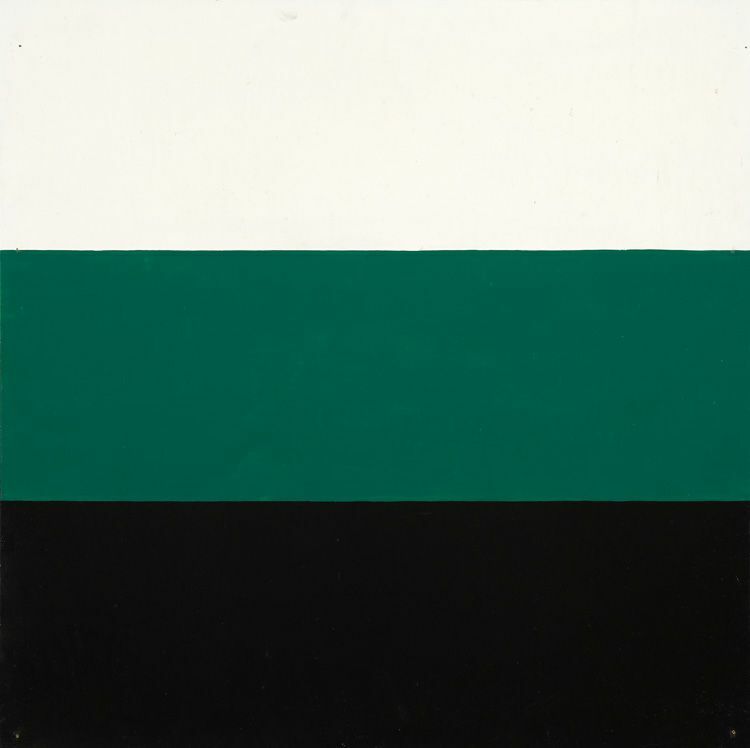 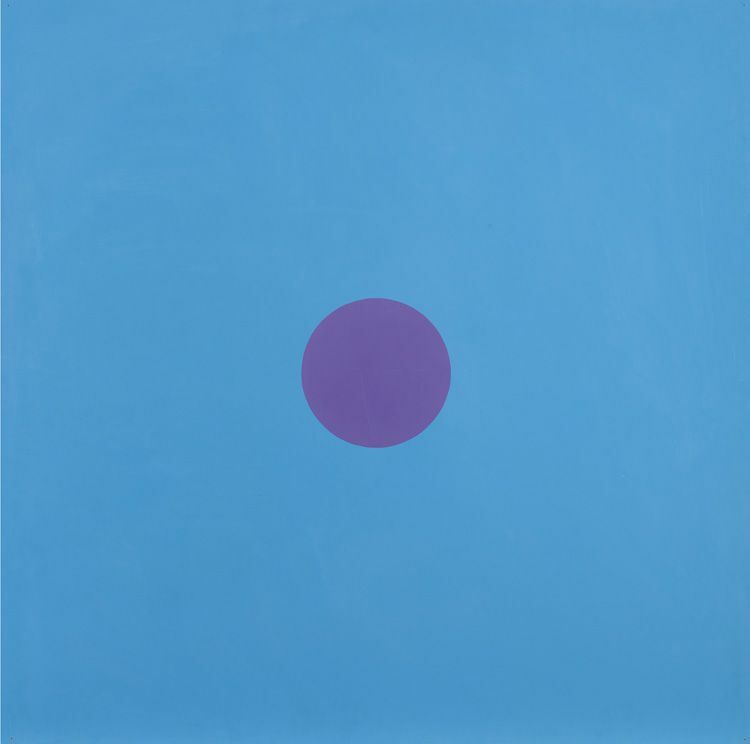 Sean Kelly Gallery is delighted to announce the exhibition Bolt Out of the Blue, which features works by Birgir Andrésson (1955-2007) and Poul Gernes (1925-1996). 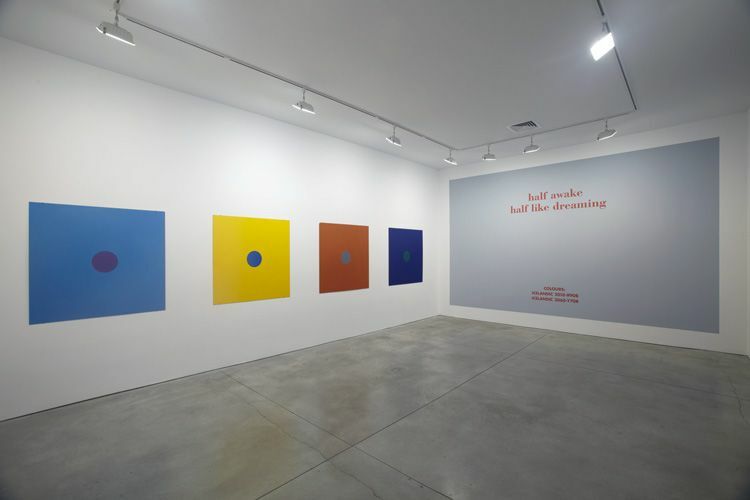 The exhibition will be on view from June 24 through July 29, 2011. 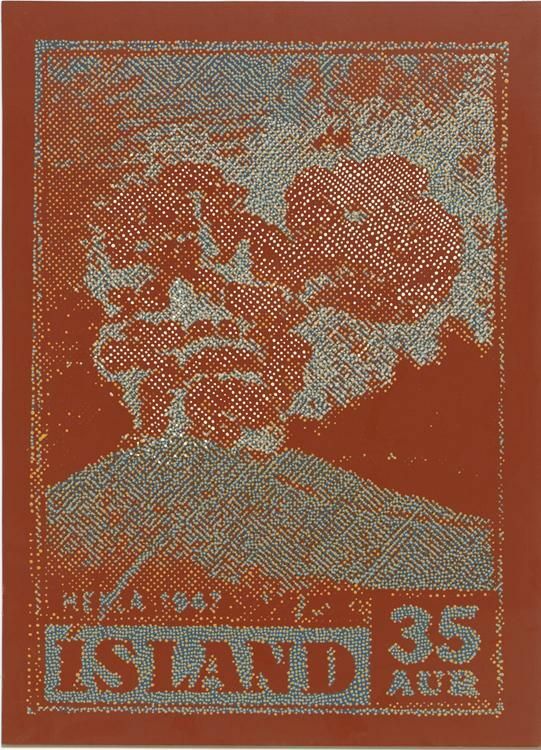 The opening will be held on Thursday, June 23rd from 6 to 8 pm. 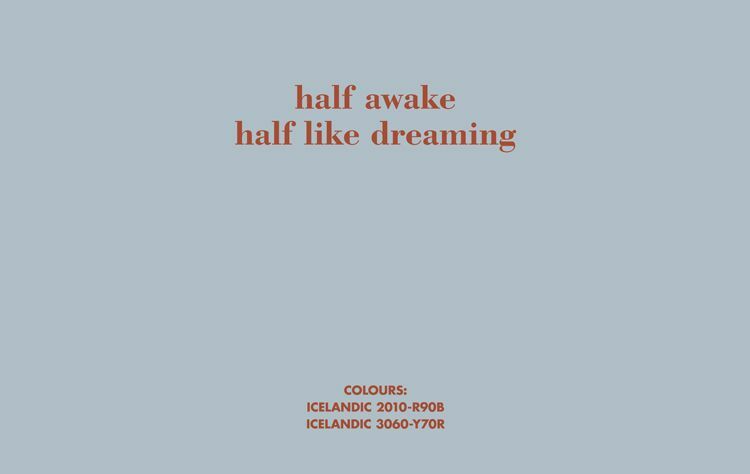 Bolt Out of the Blue will include a diverse group of works by two of the most influential and groundbreaking contemporary Nordic artists. 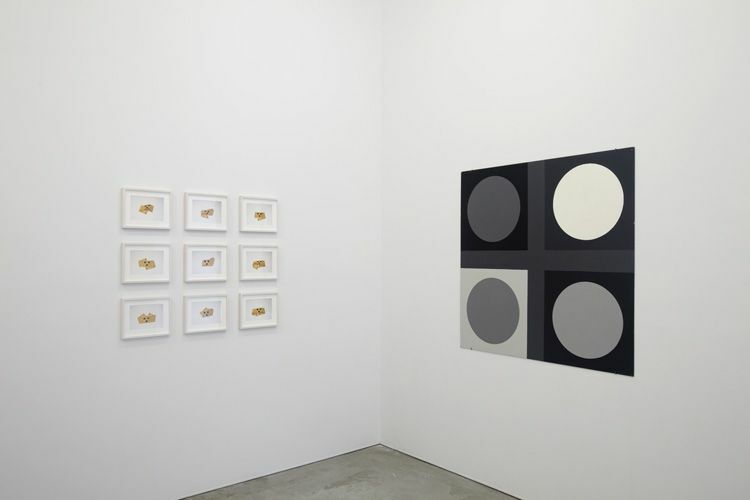 Whilst formally different in execution, both Andrésson and Gernes operated firmly within the tenets of Conceptual and postmodern strategies. 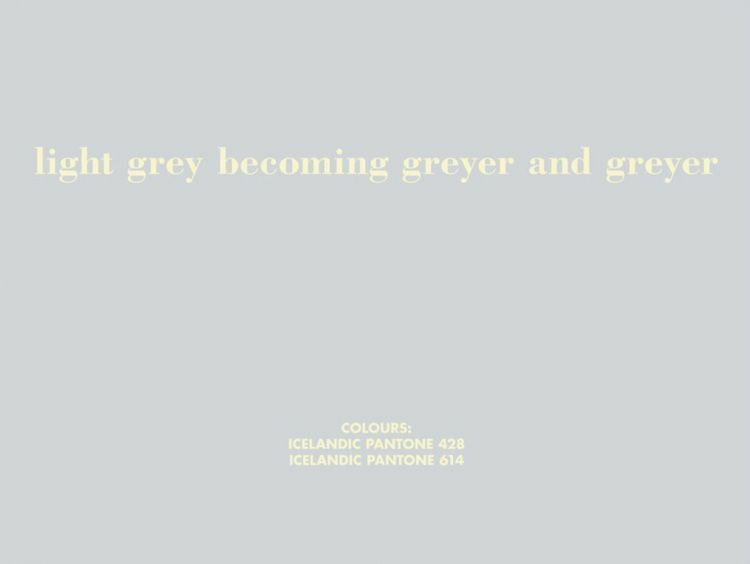 Andrésson, born in Iceland to blind parents and raised in a home for the blind, developed a powerful and poignant relationship with both verbal and visual forms of communication from the outset. 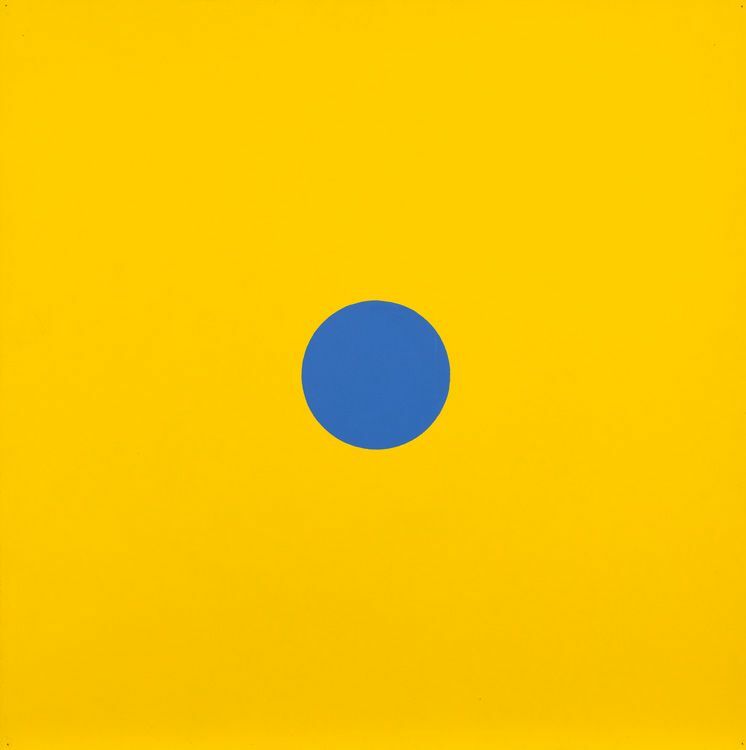 His unique insight into how people interact had a profound and defining impact on the role of language in his art. 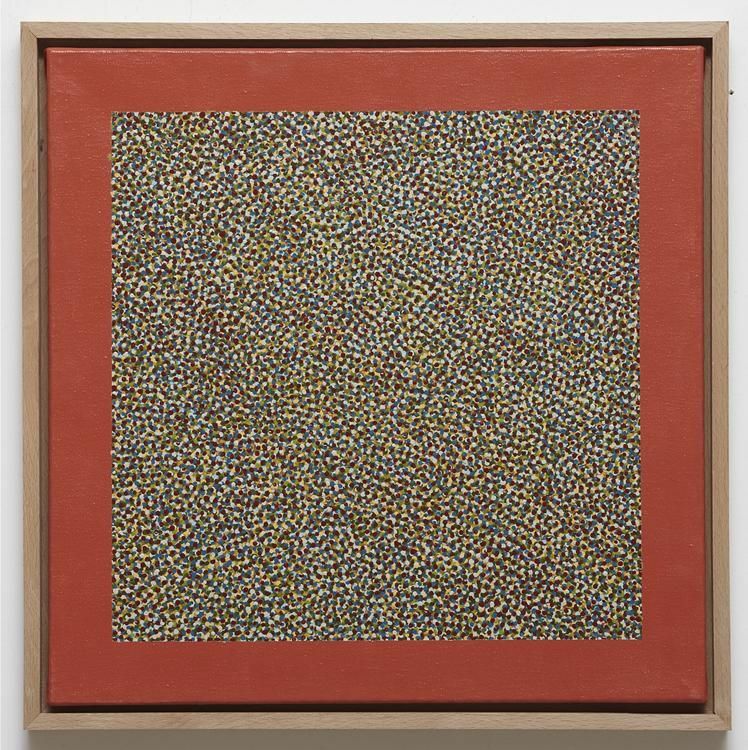 Rigorously parsing his imagery of extraneous detail, the mechanical appearance of works such as his Portraits demands that the viewer bridge the “fourth wall” between them and the work. 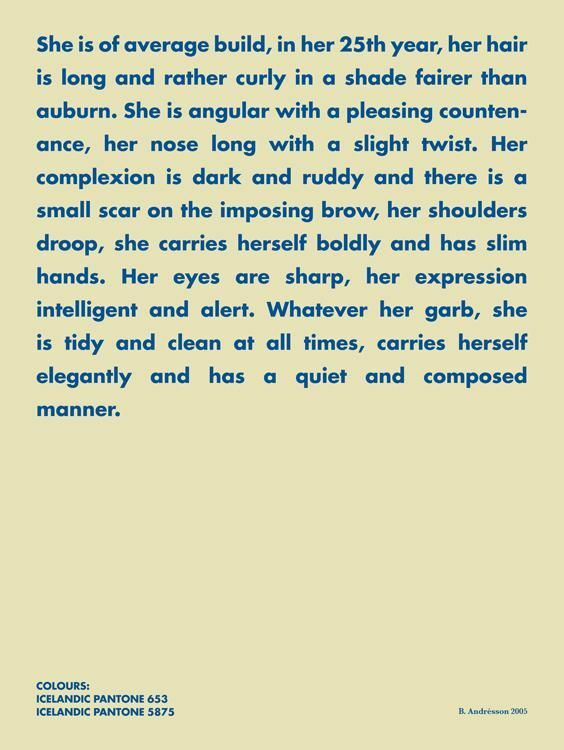 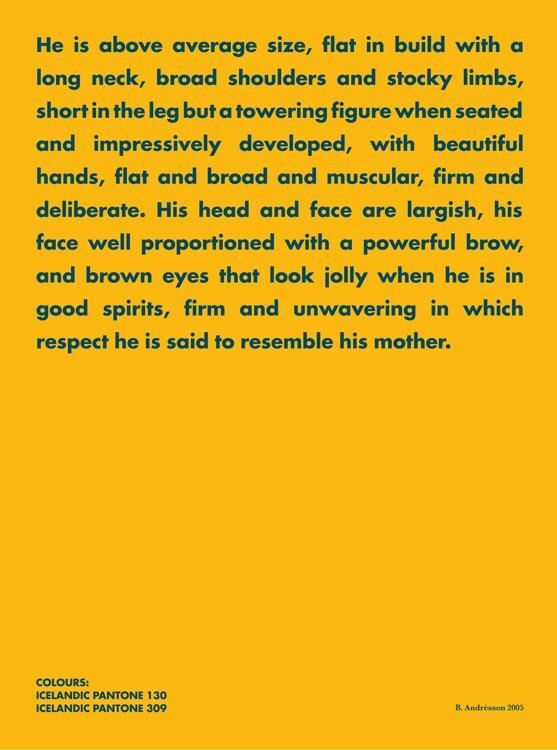 In lieu of pictorial references, these portraits contain only descriptive text; viewers are expected to call up their own images of the individuals “painted” by Andrésson. 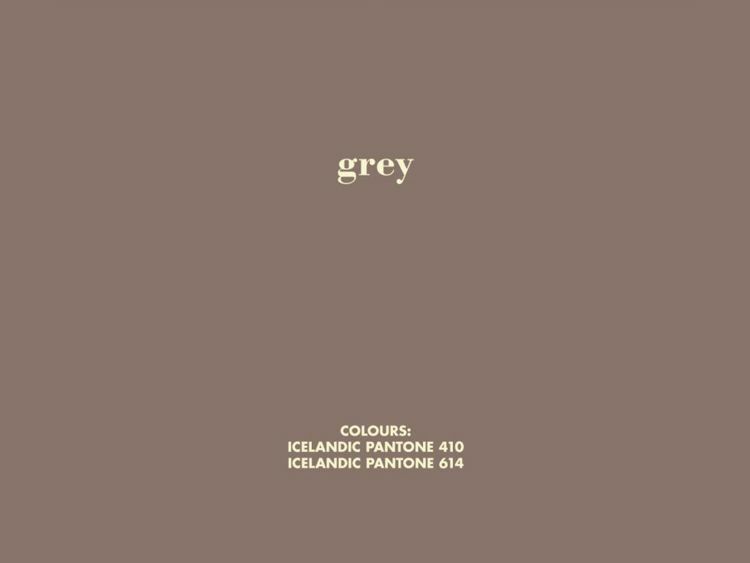 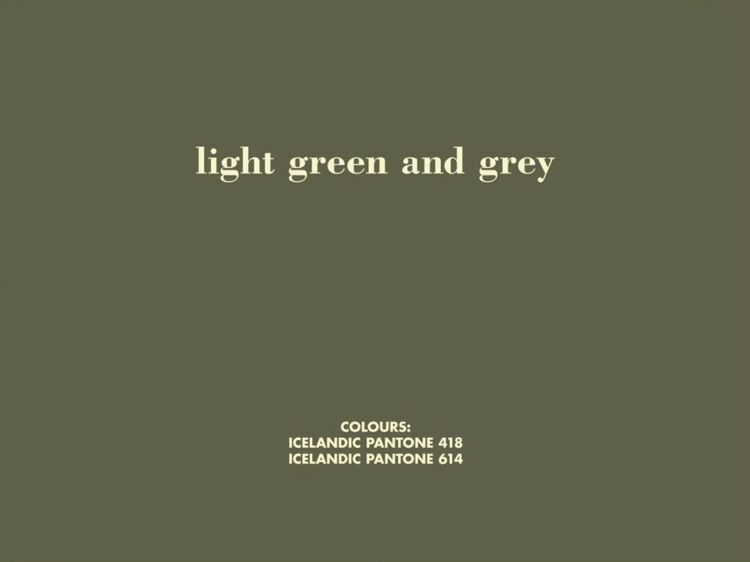 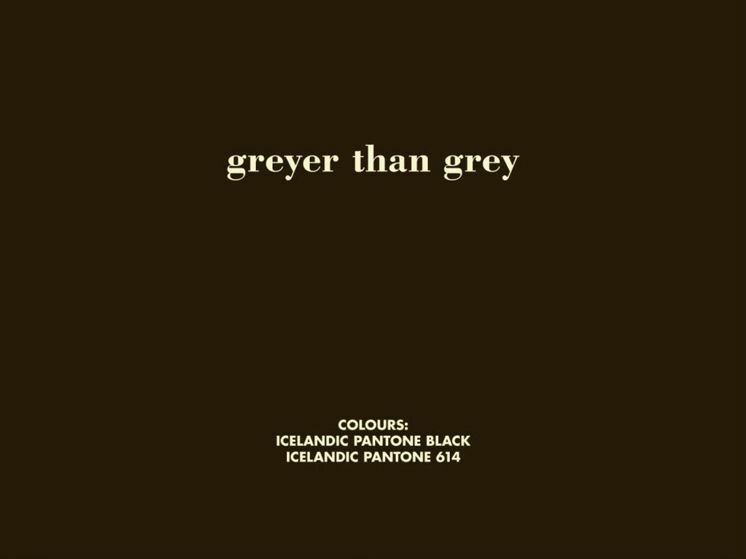 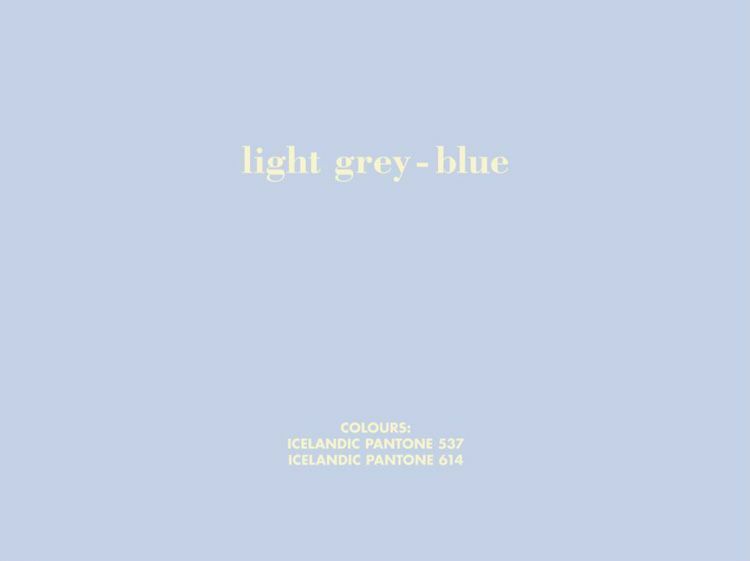 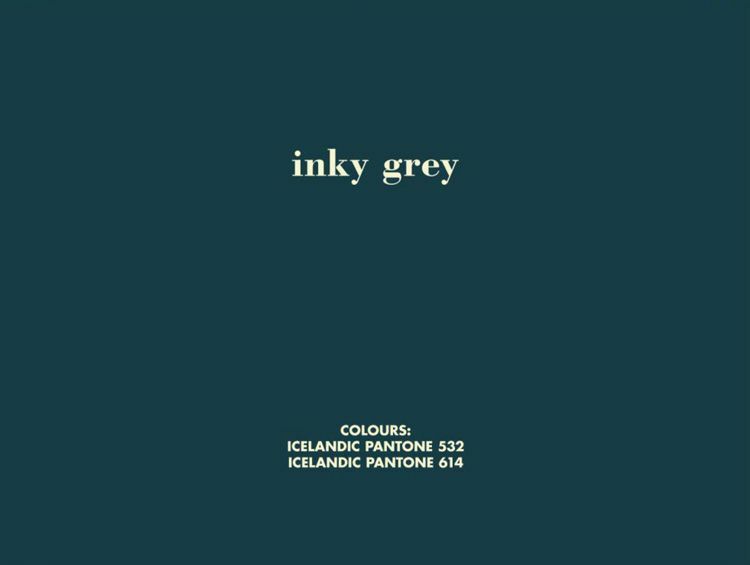 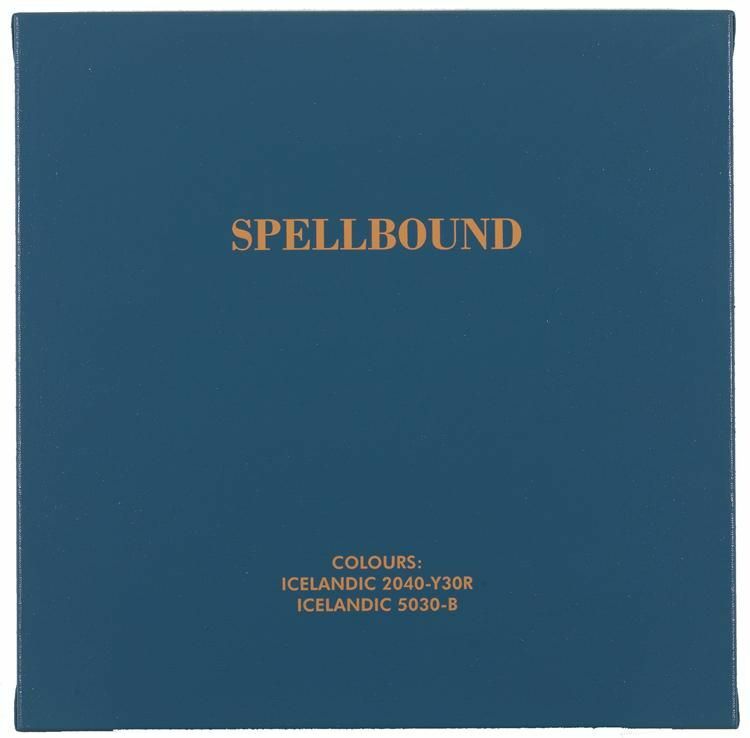 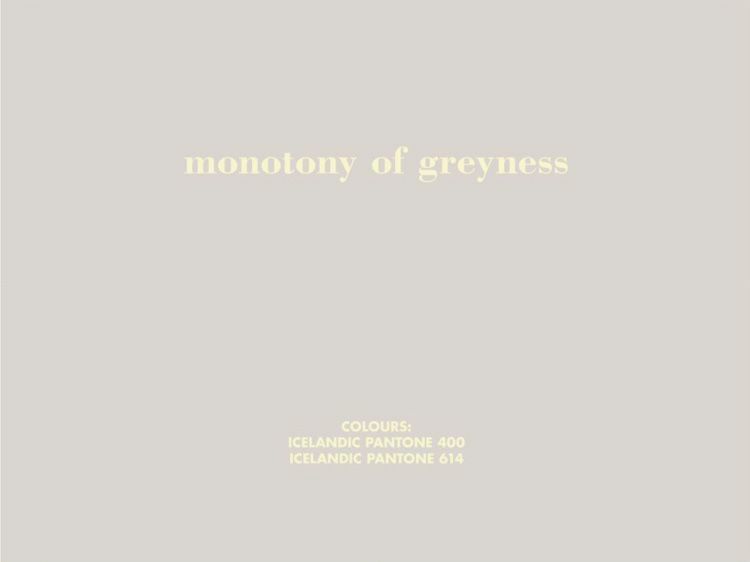 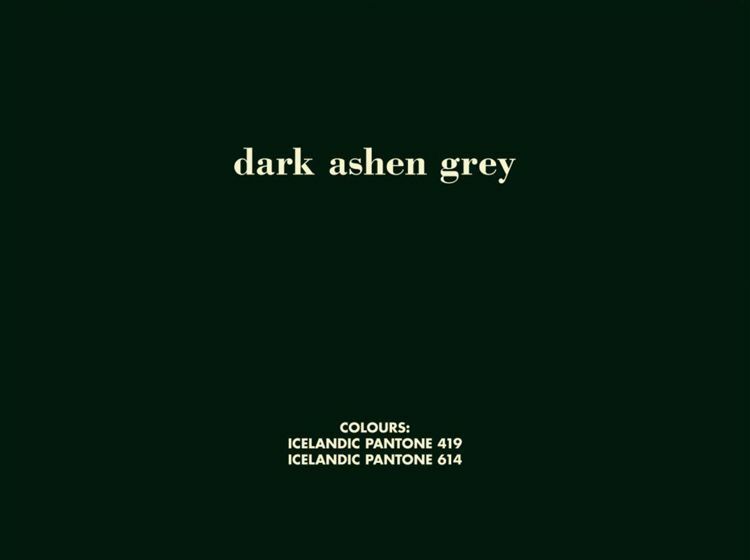 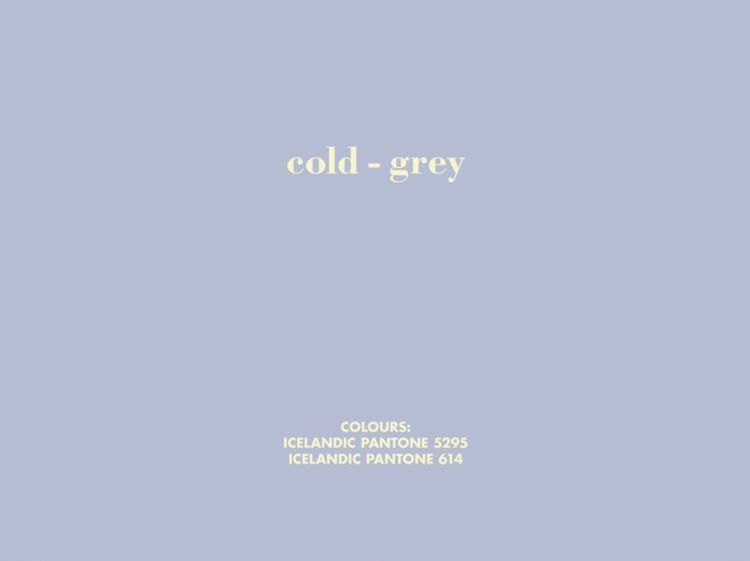 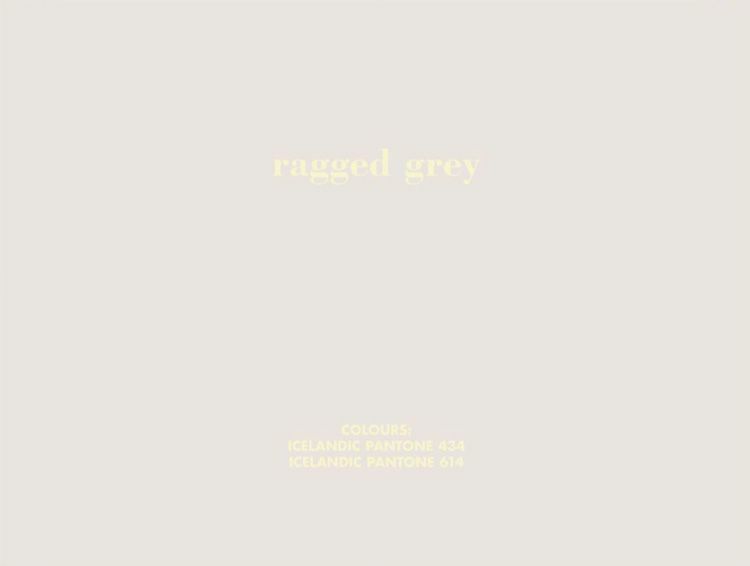 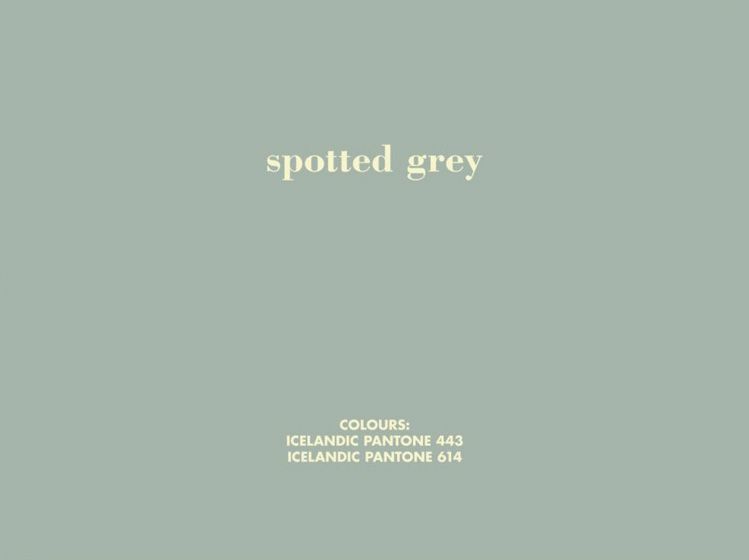 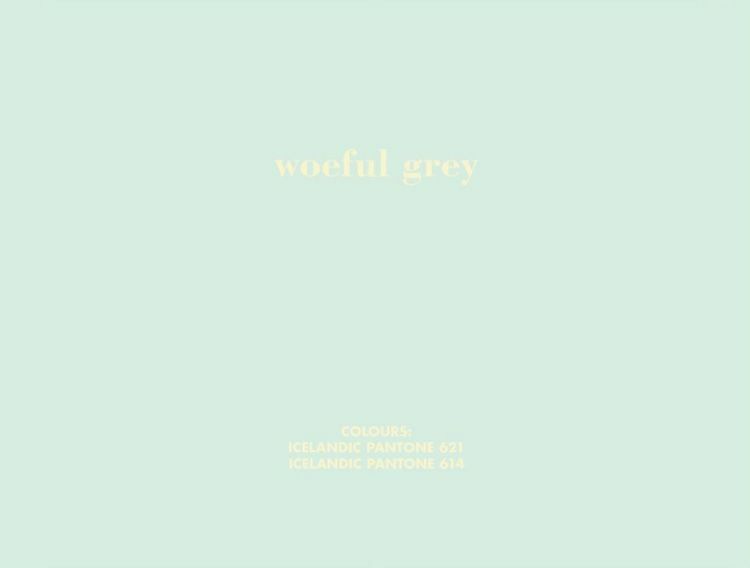 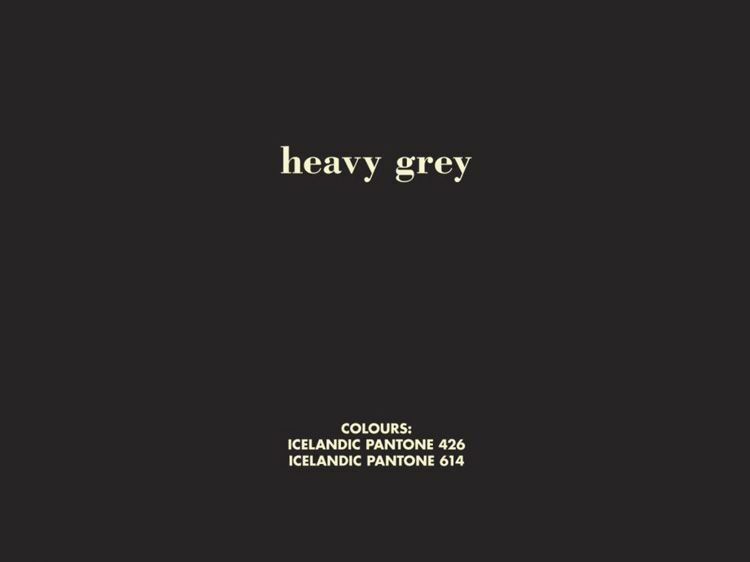 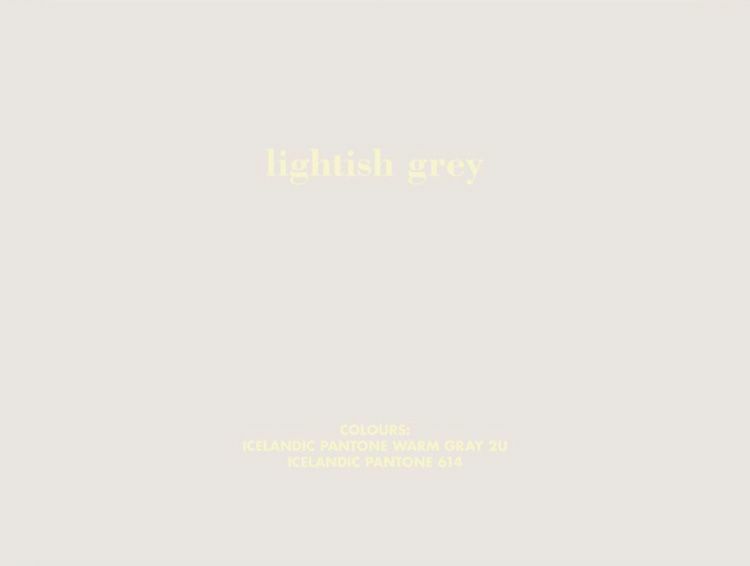 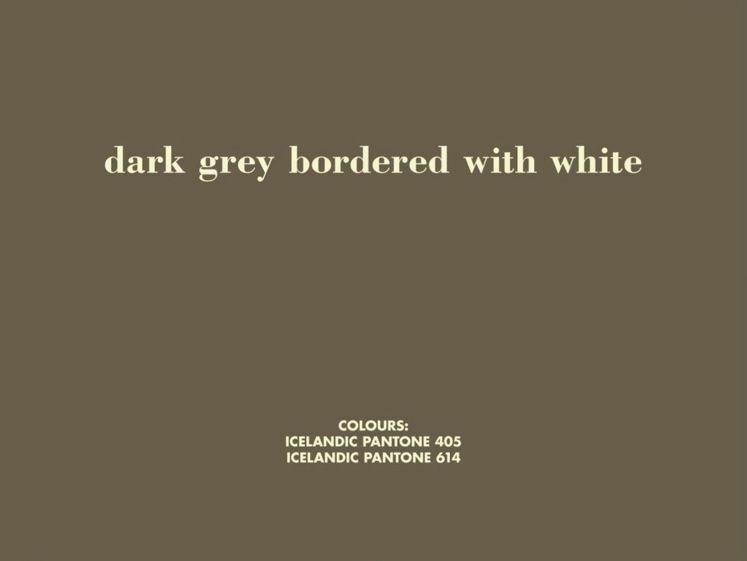 In many of his works, Andrésson created a fictional Icelandic color system – Pantone formulas supposedly derived from colors found in the natural environment. 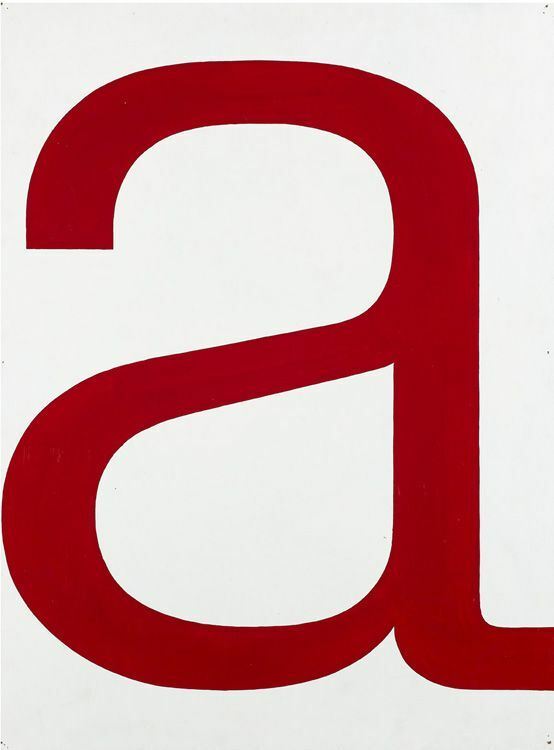 Andrésson’s language can either be purely descriptive, or cryptic and inscrutable, but in most cases the text is suffused with the artist’s trademark wry humor. 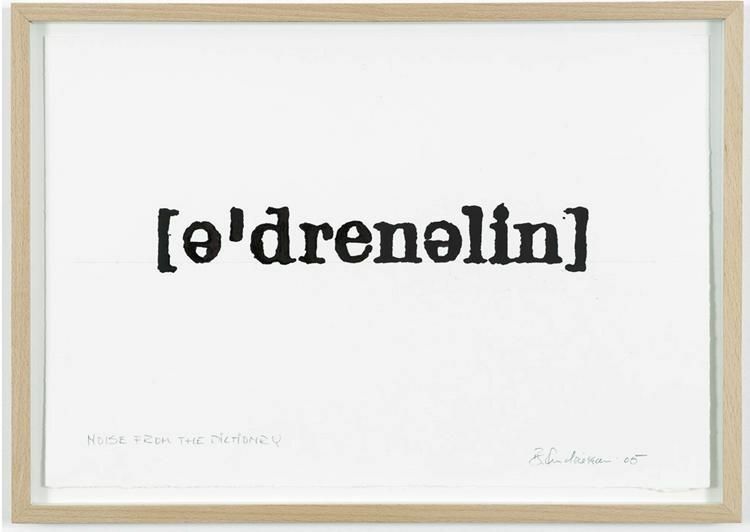 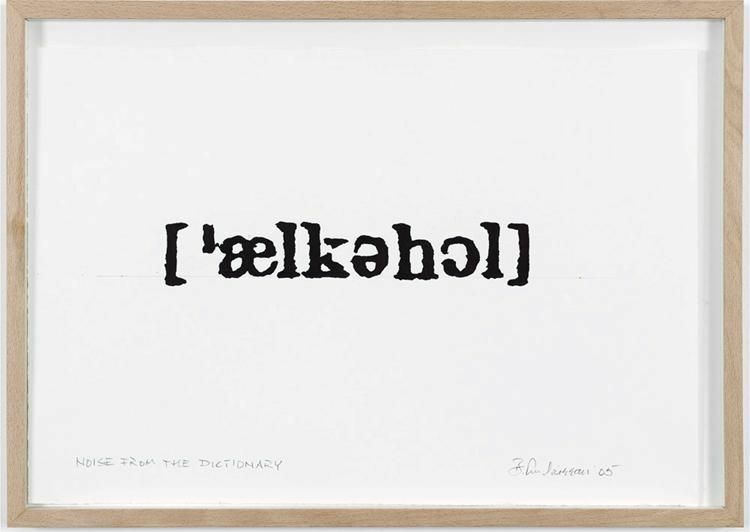 Two of Andrésson’s expansive site-specific wall paintings are included in the exhibition (the show’s title is derived from one), as well as works on paper from the Noise from the Dictionary series, in which the artist represents written words in their phonetically spelled form. 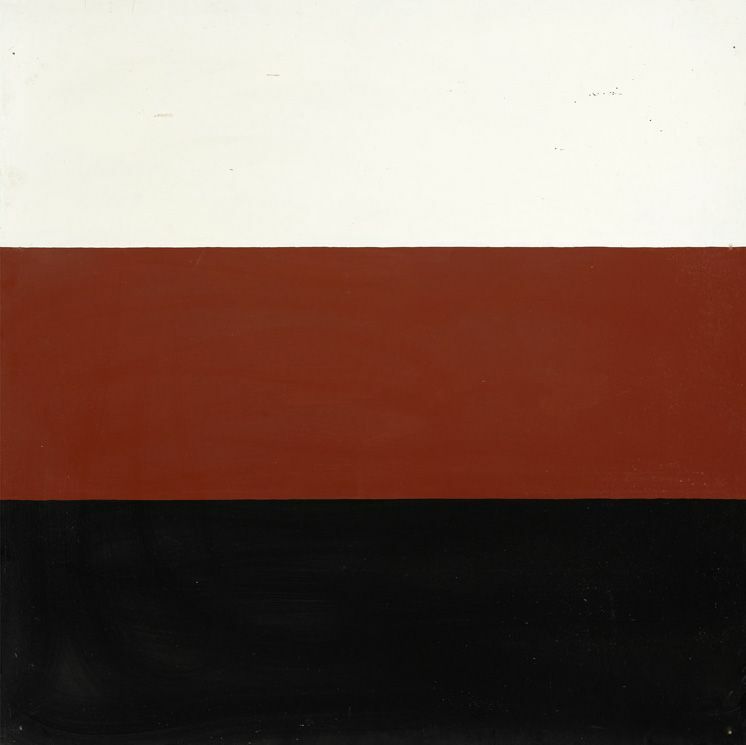 Gernes eschewed a traditional family life and notions of a formal studio environment, painting instead at his kitchen table. 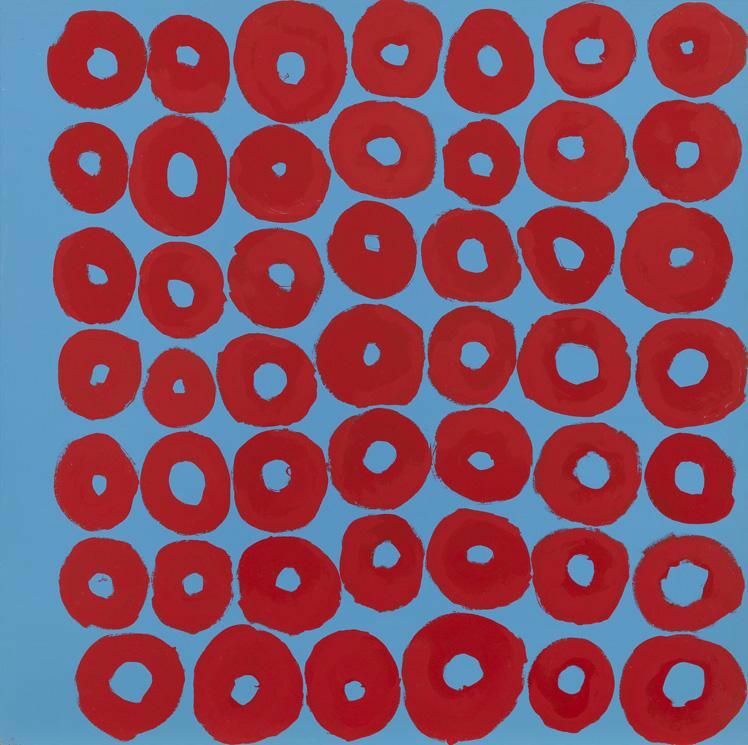 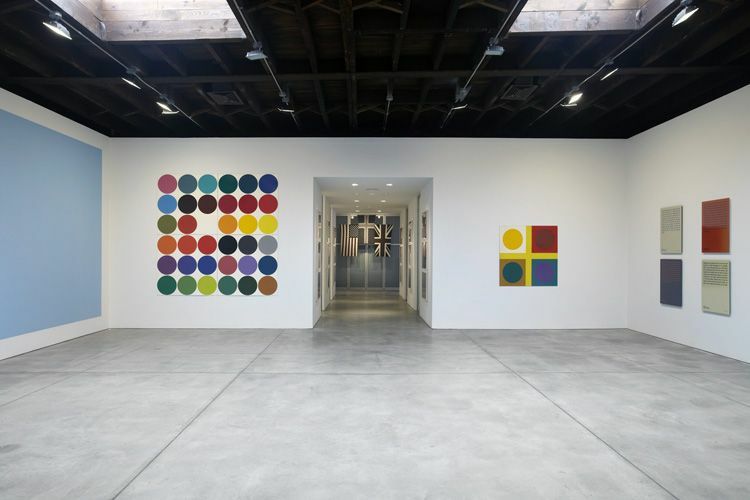 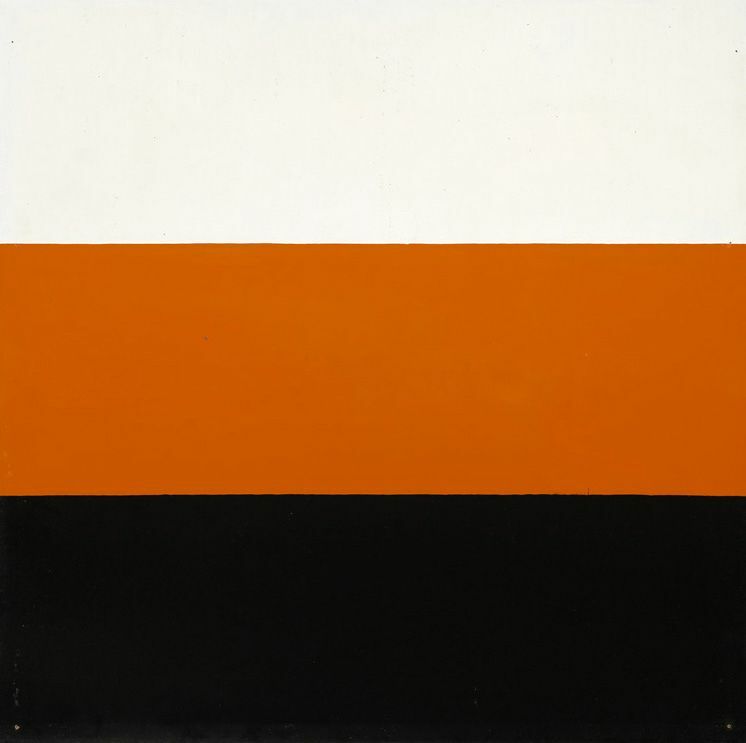 This exhibition includes early, historically significant works from some of Gernes’s most important series, including the stripe and dot paintings. 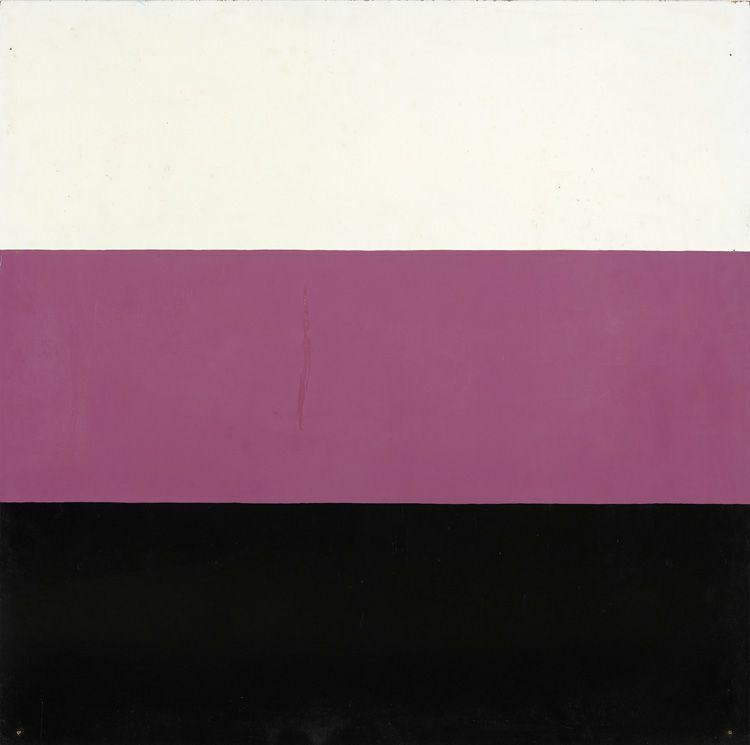 These paintings, rarely exhibited in the U.S., are shown here in great depth for the first time. 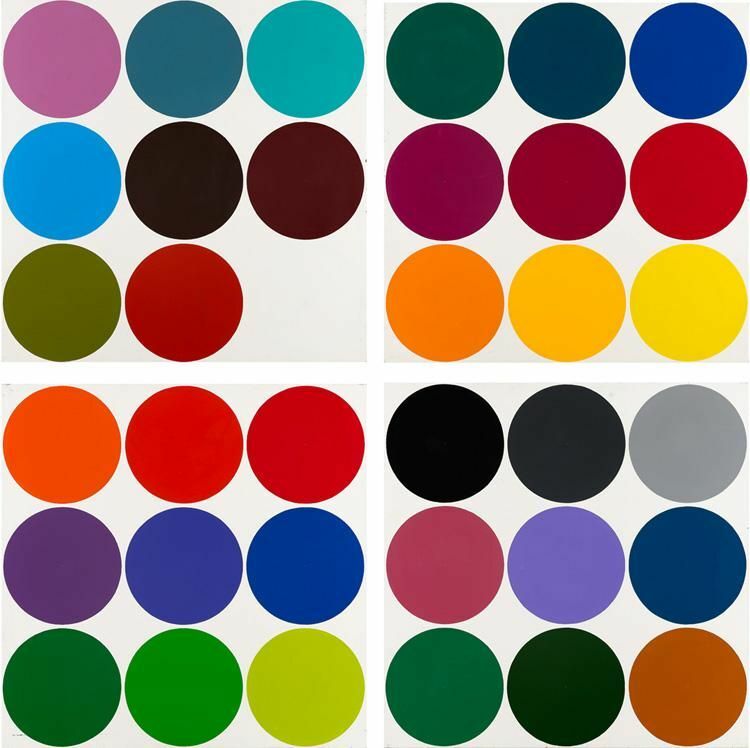 The stripe and dot series, both from the 1960s, consist of seemingly endless color combinations. 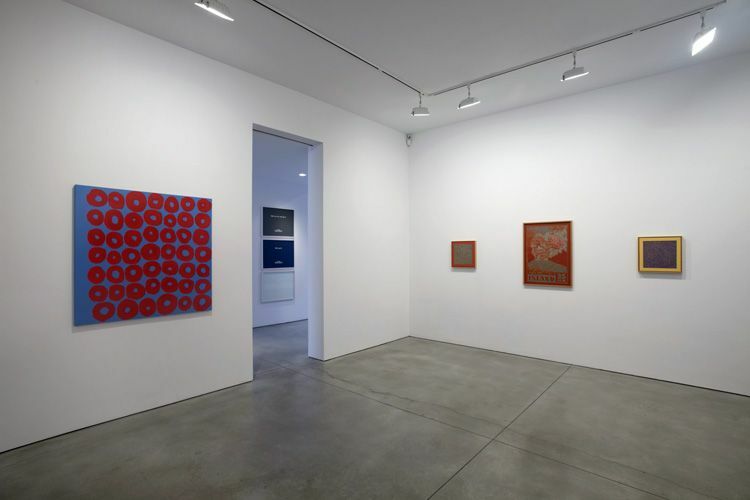 Using only industrially available paint and masonite as the support, these paintings suggest the more mechanical qualities of abstraction in their random variations, but actually have a unique sense of the artist’s hand at work. 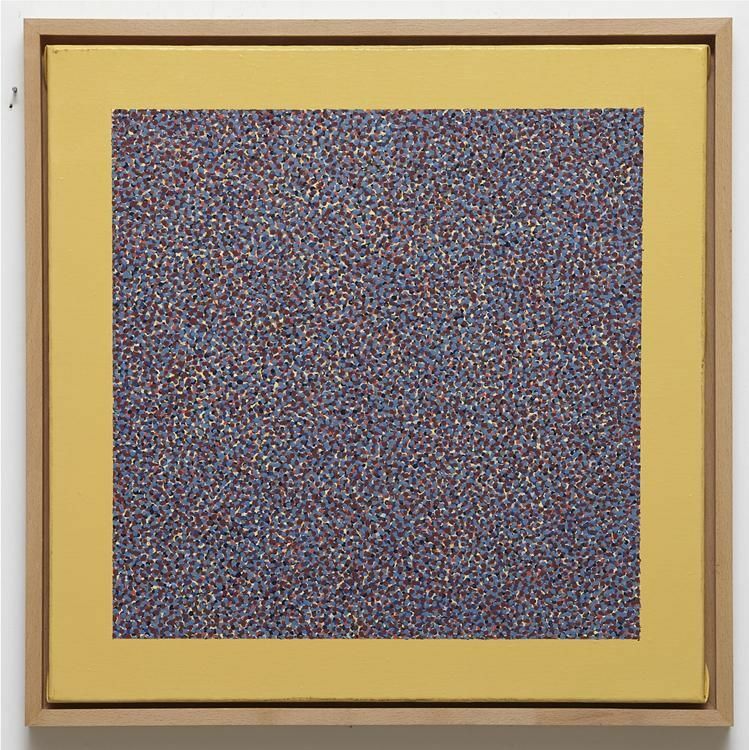 This randomness is seen not just in the execution of the paintings, but also in their display; Gernes insisted that there were no prescriptions for their arrangement or sequence, allowing patterns or rhythms to develop by chance. 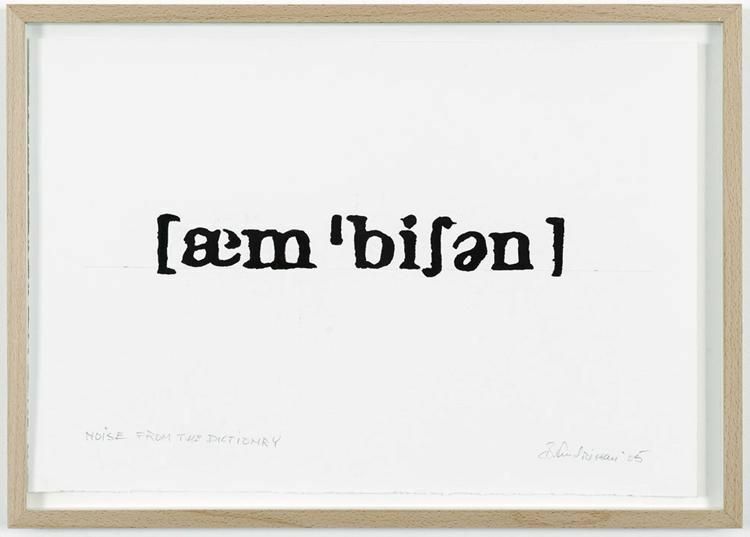 A contemporary of Joseph Beuys, Gernes – whose work was featured in a Beuys performance in 1966 – was cognizant of the German artist’s theory of “social sculpture” and an artist’s opportunity to be an agent of transformation within society. 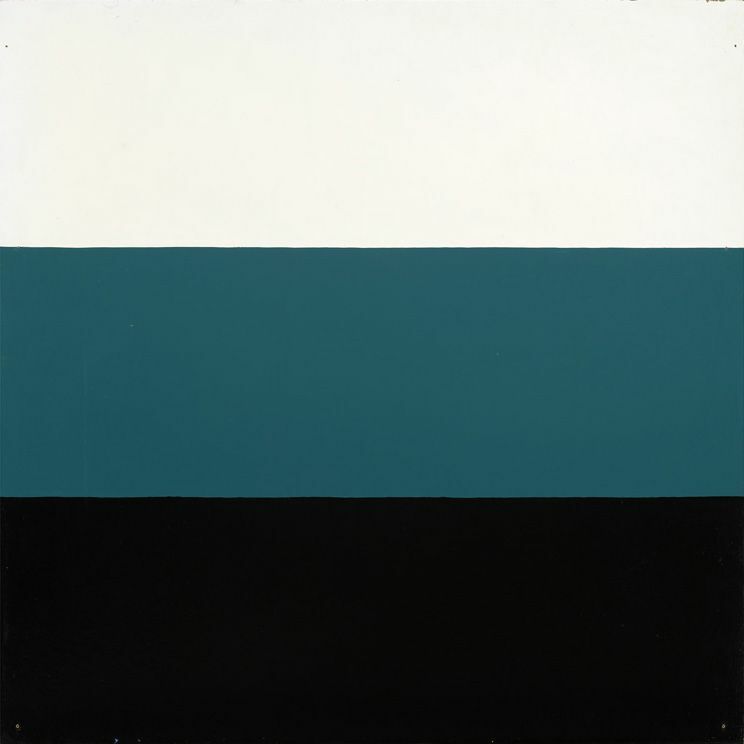 By 1980, Gernes had increasingly focused on developing color systems to manipulate architectural spaces via commissions for various public and private institutions. 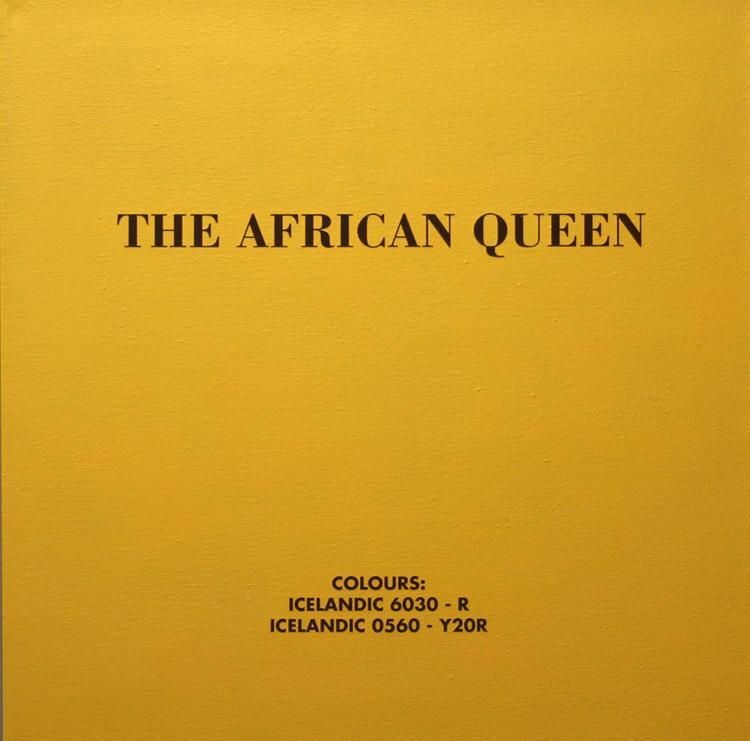 Birgir Andrésson studied at the Icelandic College of Arts & Crafts and Jan van Eyck Akademie, Maastricht, Holland. 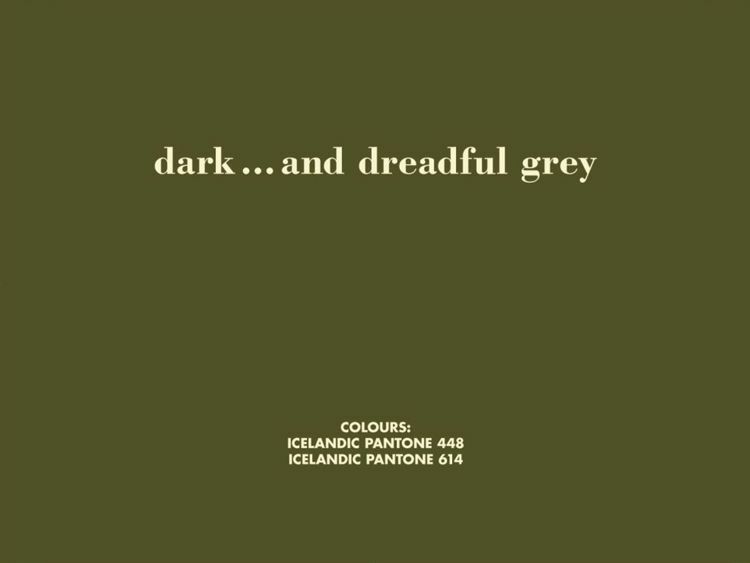 During his lifetime, he exhibited actively in Scandinavia and Northern Europe. 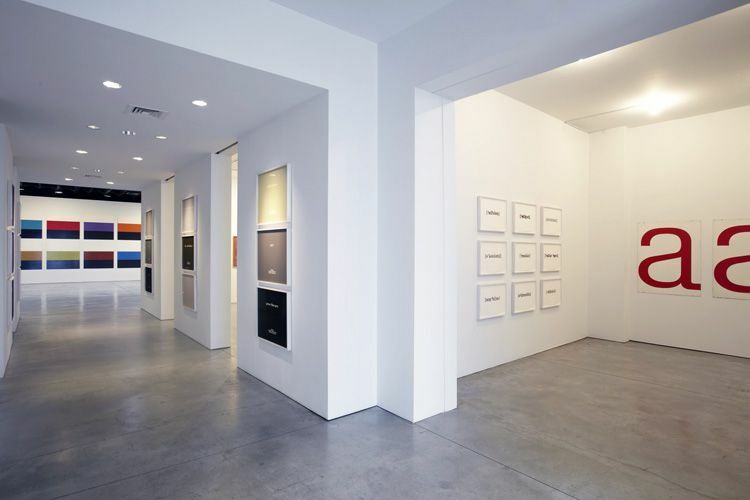 His work has been the subject of numerous solo and group exhibitions internationally. 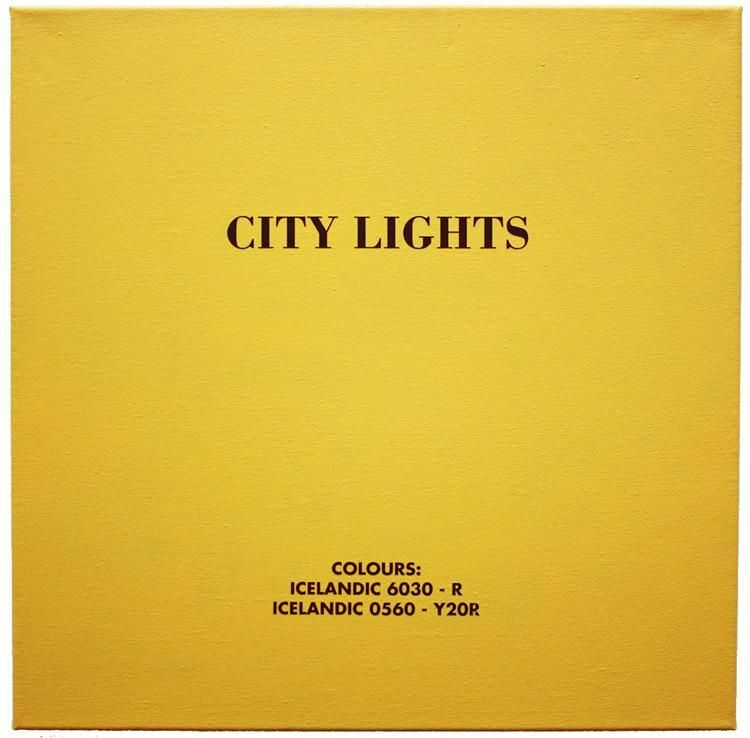 Major solo shows include a retrospective at The National Gallery of Iceland in 2006 and his representation of Iceland at the 1995 Venice Biennale. 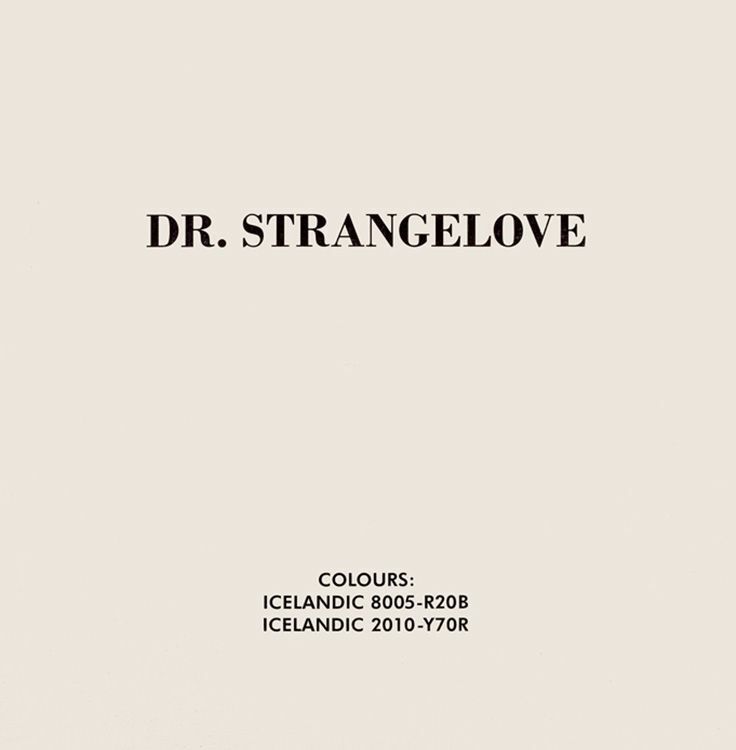 A catalogue raisonné of his work is in preparation. 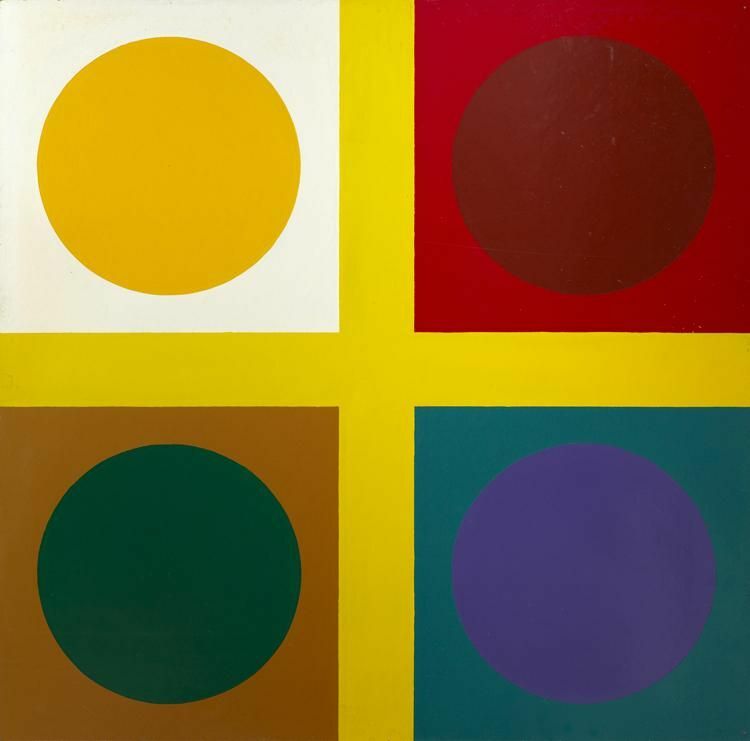 Poul Gernes is amongst the most influential of Scandinavian artists. 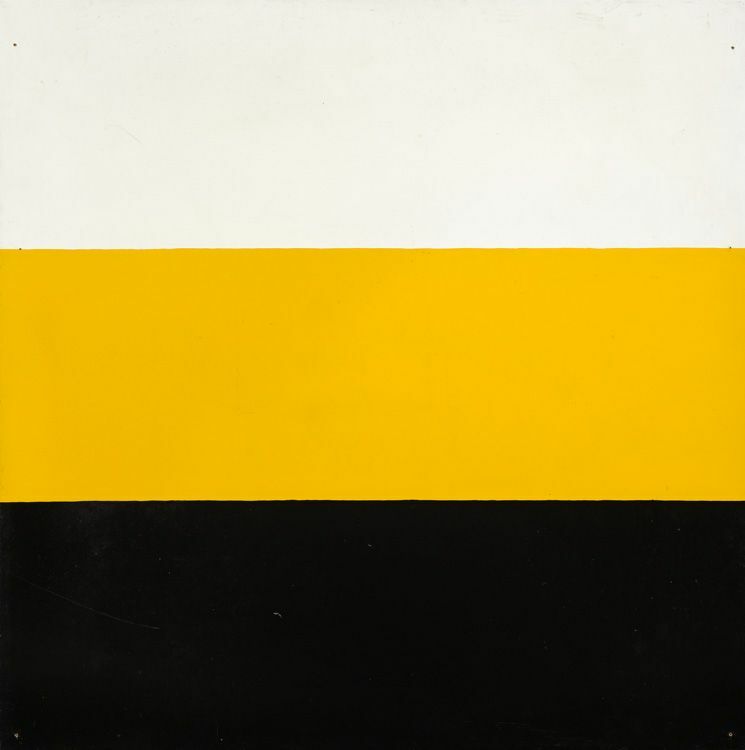 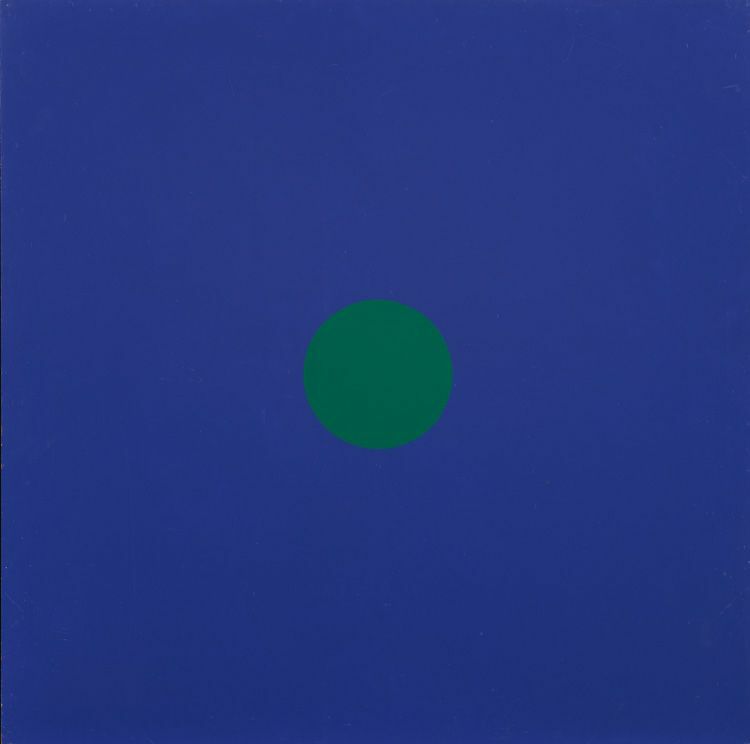 He constantly sought to link art to life by means of color and design. 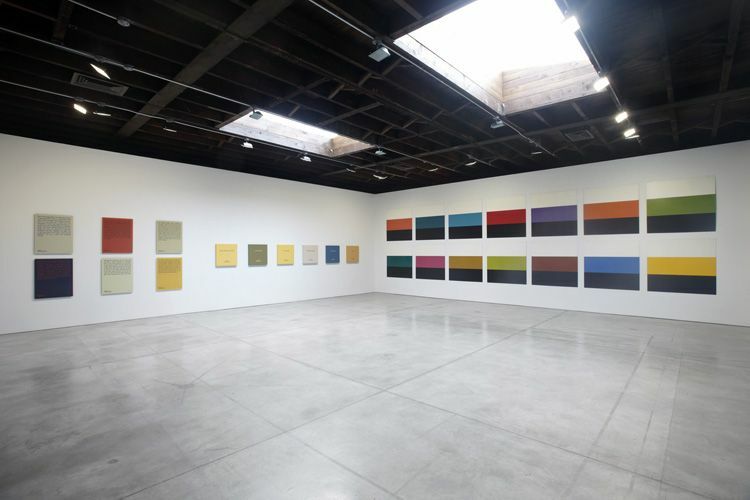 In the five decades that Gernes was active, he had numerous exhibitions and created architectural color systems for more than 150 buildings in Denmark. 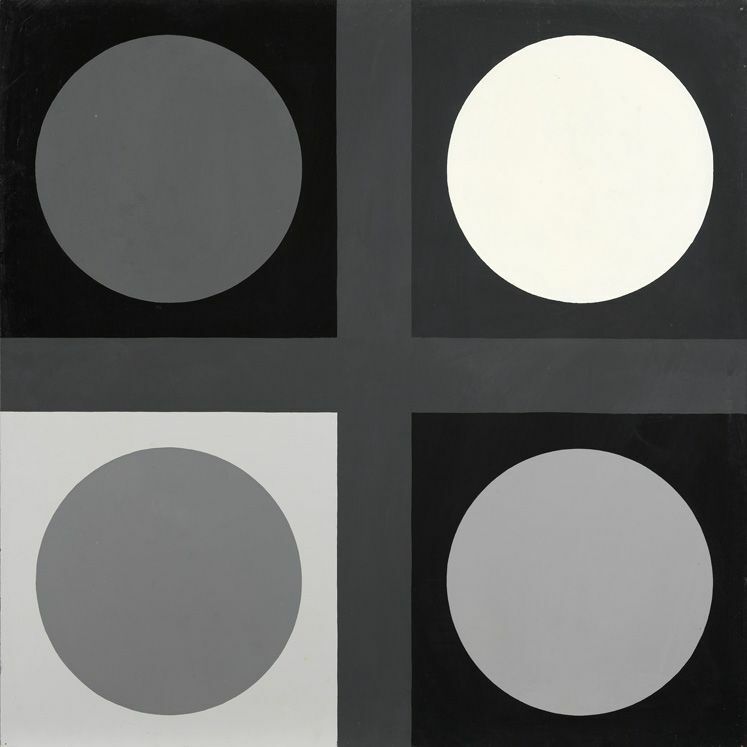 In 1961, he was one of the founding members of Copenhagen’s Experimental Art School, which a had long-reaching impact on the contemporary art scene in Denmark. 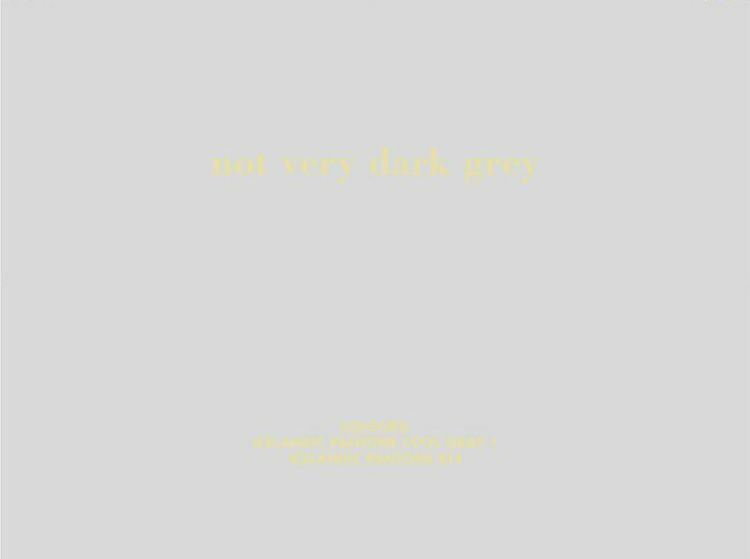 He left behind an important oeuvre, the full complexity of which is only just now being completely appreciated. 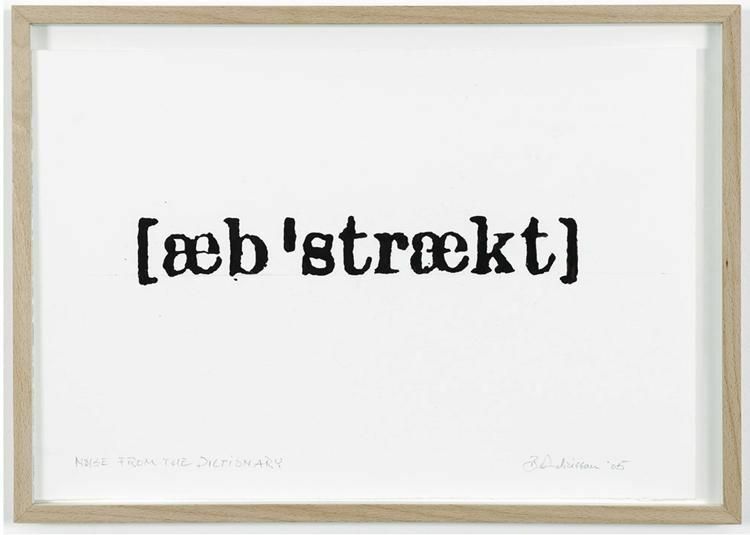 A significant selection of his work was shown at Documenta XII in 2007. 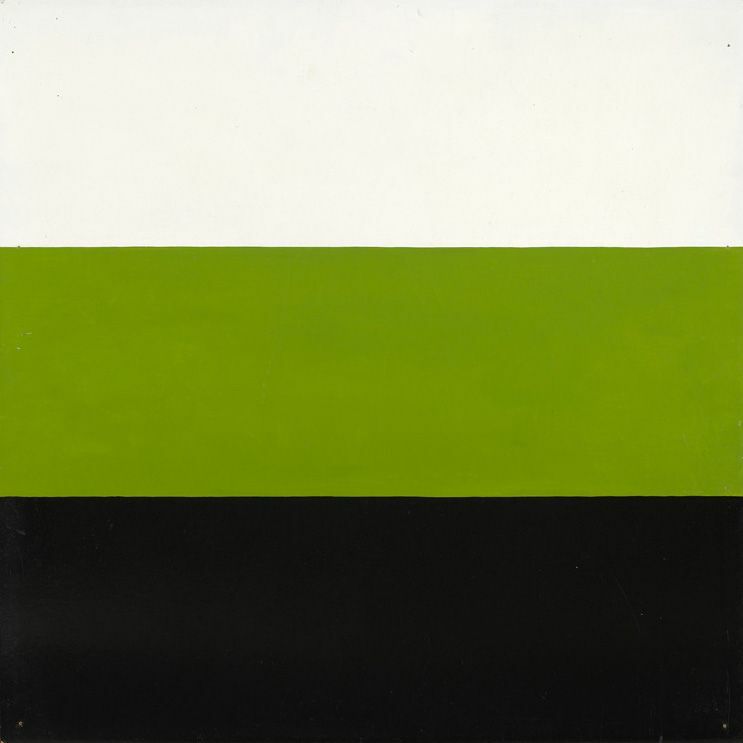 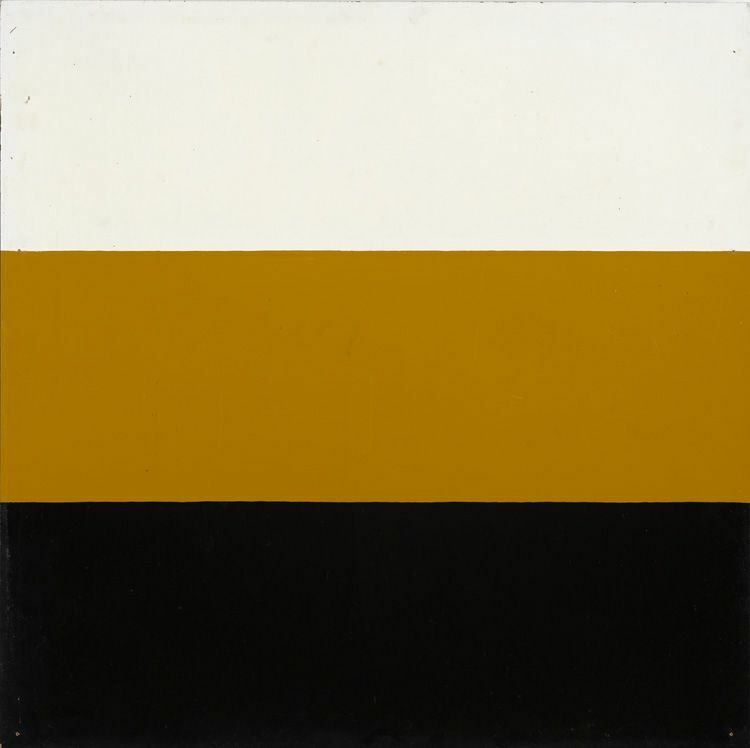 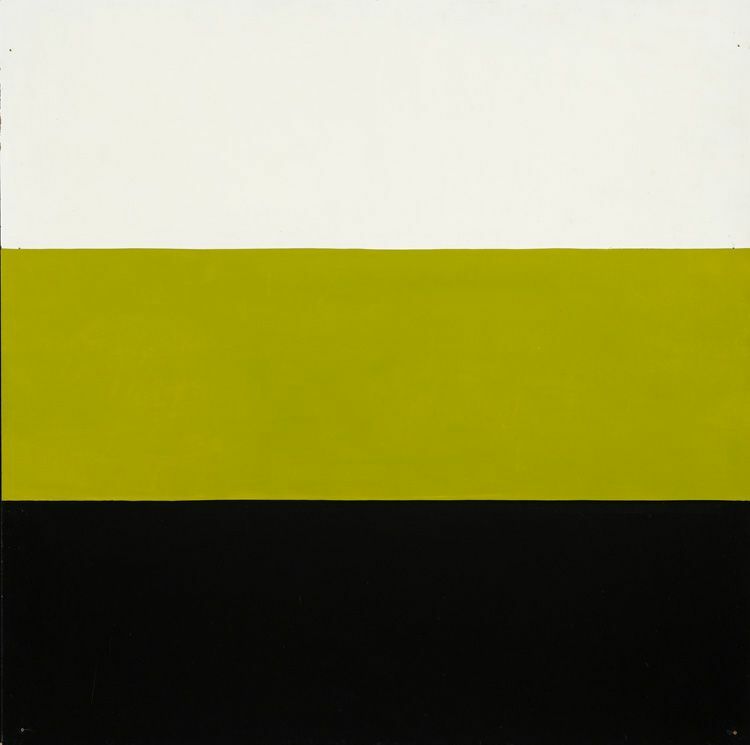 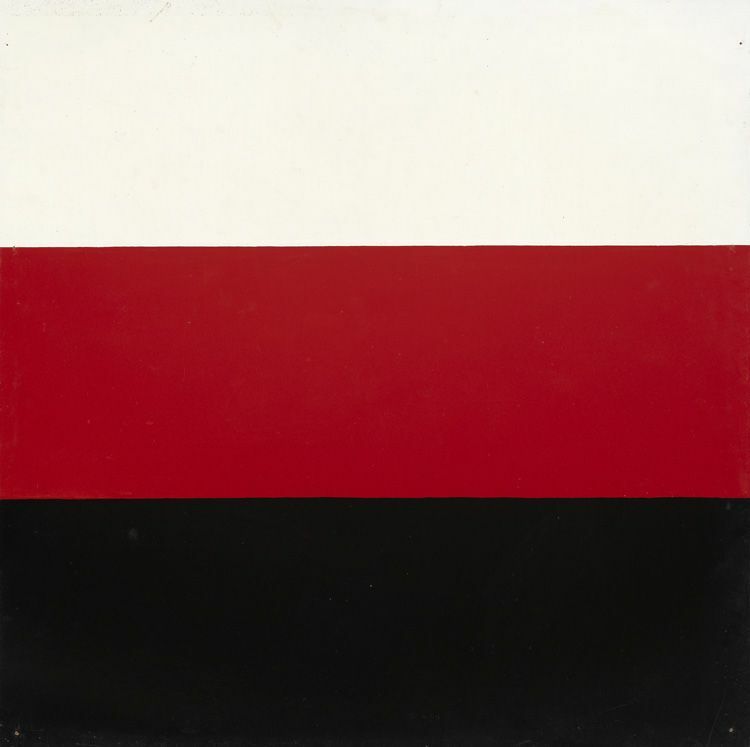 Gernes’s work is the subject of a major retrospective currently on view at the Malmo Konsthall, Sweden, through August 21, 2011. 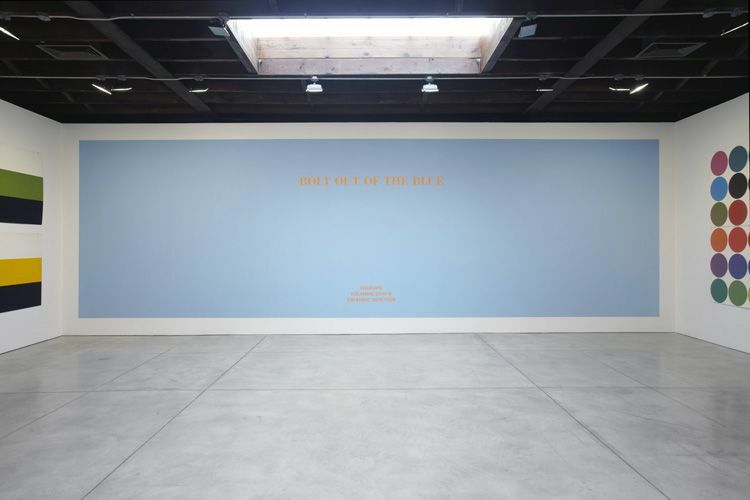 Bolt Out of the Blue is presented in collaboration with i8 Gallery, Reykjavik and Galleri Bo Bjerggaard, Copenhagen.